Hi there! It's Anna here from J+A Photography. I love the opportunity to capture families (its sort of my thing!) and especially families going from two to three! That's why I jumped at the opportunity to capture Jess and Caleb at this unique time before they gain another child (of the non-fur-baby variety). I tell ya what, these two are so much fun to work with and I'm sure they are going to install some of that humour and love in this new little person coming soon. 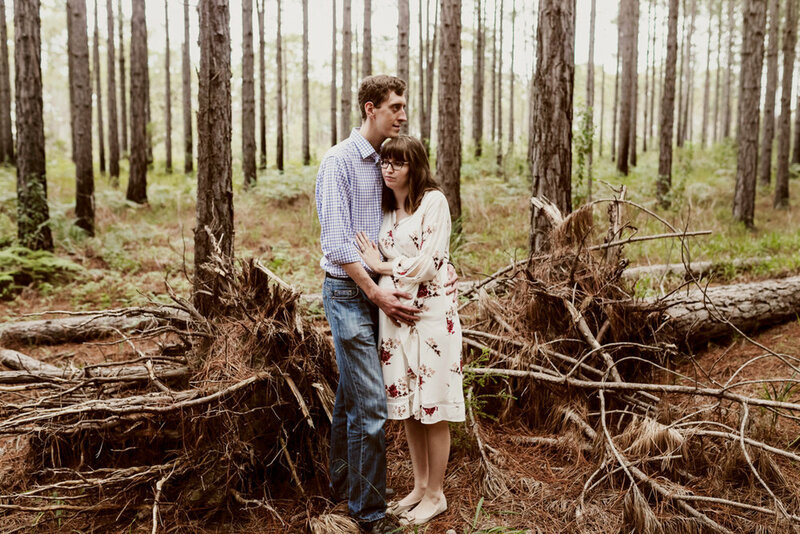 The request from these guys was for a forest setting with pine or gum trees and I worked my hardest to find a suitable location that would tick all the boxes and which I knew they (and I) would enjoy shooting in. We started off by chasing the afternoon sunlight through those gorgeous tall pine trees as I just love that bright, warm and ethereal look of my Families being lit up from behind by the sun! 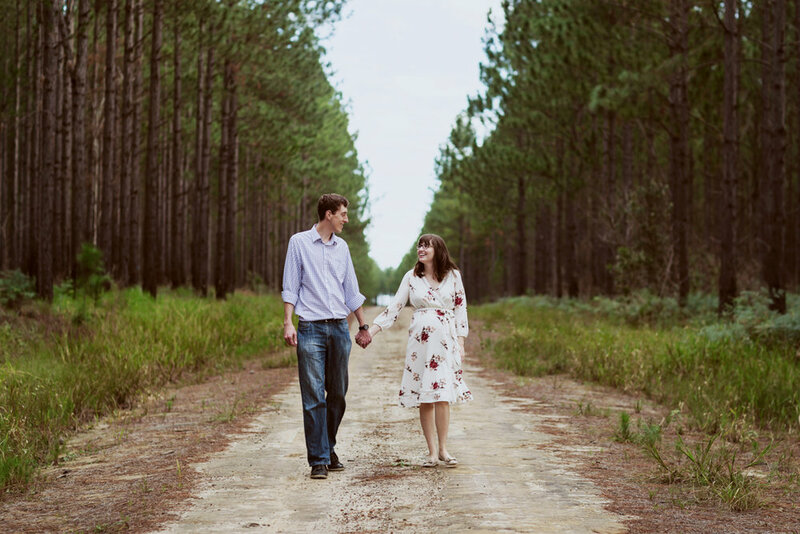 We also had the plan to use a couple of smoke bombs to contrast the darker parts of the forest against Jess + Caleb. Check out how it went and feel free to leave a comment. "I have had a couple of photoshoots with Anna and always loved the outcomes. She took some wonderful professional photos of me and my products for my business and just recently a more relaxed maternity shoot. Anna made me comfortable and at ease, recommending some natural looking poses. The lighting and mood she captured in the photos is phenomenal! I would not hesitate to recommend J+A Photography to all my friends and family and anyone after some great photos."